Around the same time that Frederick Law Olmsted was hired to design the Emerald Necklace, the will of a New England whaling merchant named James Arnold had recently provided Harvard with a plot of a land in Jamaica Plain to create an arboretum. 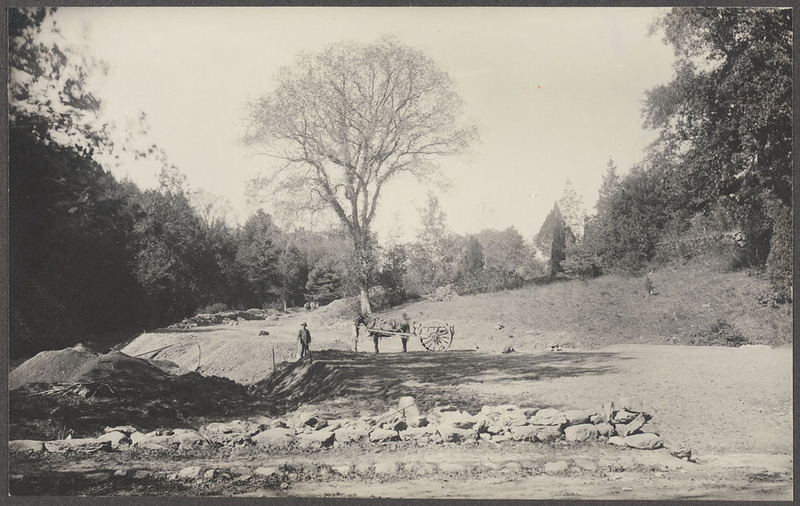 Through collaboration between the city and Harvard, it was decided that this would become a major piece of the new Emerald Necklace. Arnold Arboretum opened in 1872 as the first public arboretum in North America, with 281 acres of trees, meadows, and ponds that provided a habitat for plants from around the world. 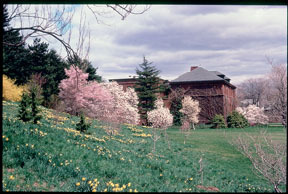 The historically significant design was the result of a partnership between Olmsted and Charles Sargent, the first director of the arboretum. 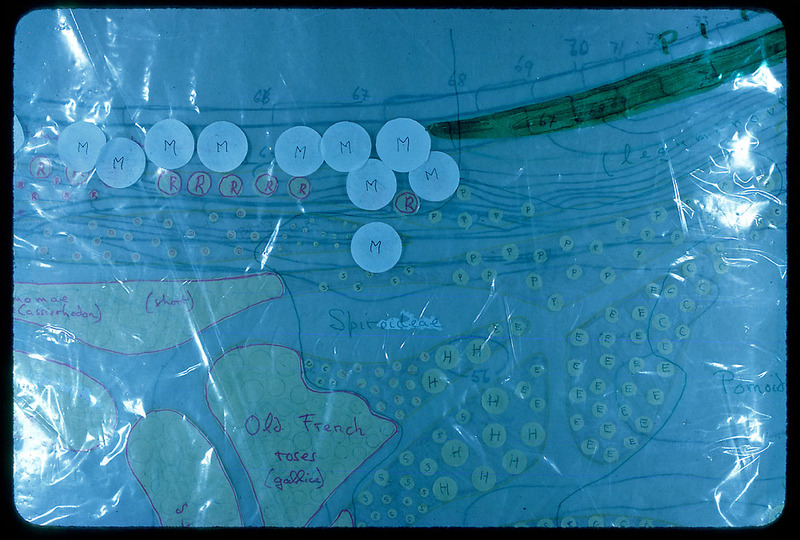 The driving concept behind the design was the creation of a landscape in which visitors could view trees and plants as 'living works of art', while simultaneously preserving the scientific groupings that are inherently necessary in an arboretum. To satisfy the park's second function as a public space, Olmsted moved away from the traditionally orthogonal lines of plantings that were common to arboretums and botanical gardens. 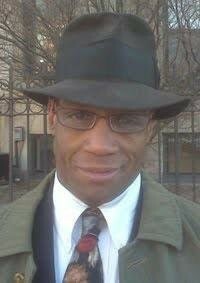 He instead plotted the paths and roads in his signature fashion: winding pathways through densely planted areas that open onto beautiful, wide views of landscapes and water features. This was done to create a soothing and relaxing atmosphere that would be conducive to Olmsted's ultimate goal for the Emerald Necklace--to attract people from different social, economic, and cultural backgrounds to one space in which they could walk, exercise, and relax together, thereby communicating and sharing ideas. 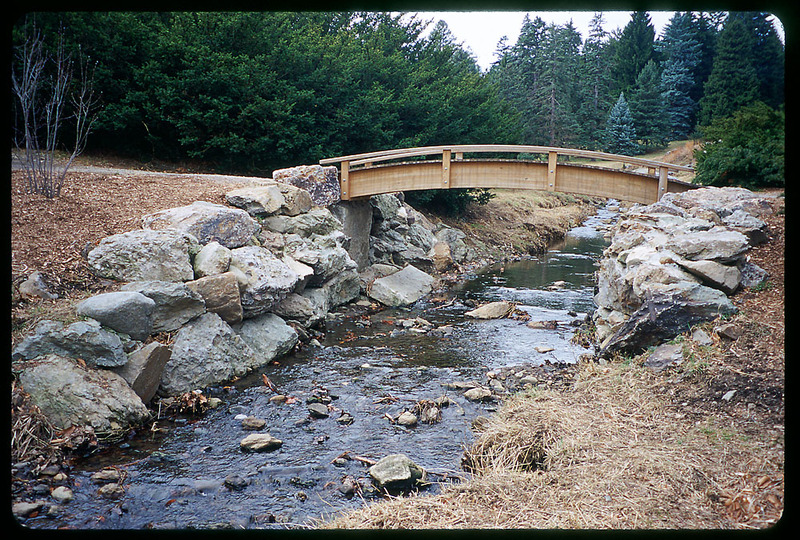 The collaborative process between Olmsted and Sargent lasted for years as the two worked together to balance the artistry of landscape architecture with the science of an arboretum. 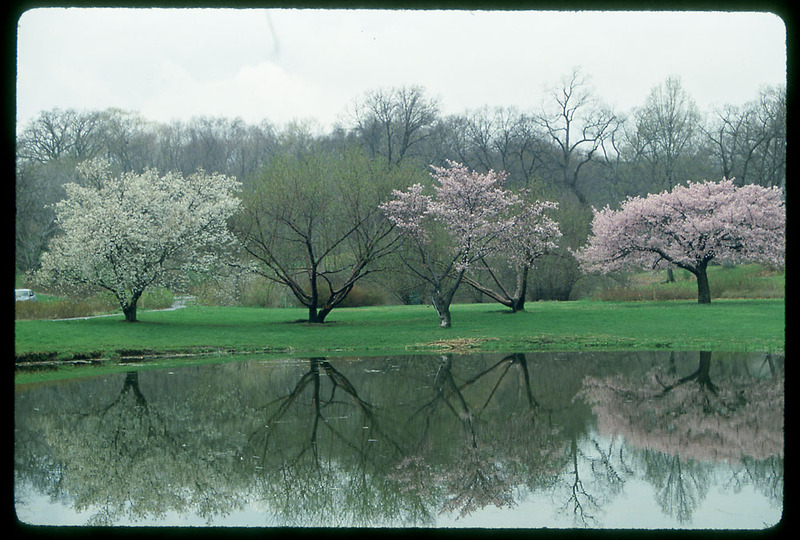 The major impasse was over the planting patterns for the trees; Sargent wanted trees from different continents and climates to be placed side by side for visitors to compare scientifically, while Olmsted insisted upon the trees being placed as they would appear in nature. After innumerable iterations, a compromise was finally reached shortly after construction of the roadways was begun by the city of Boston. 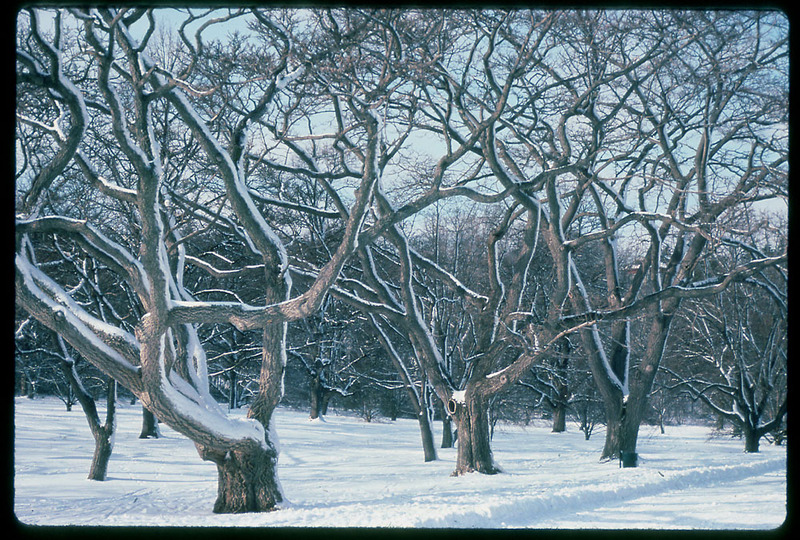 Trees from different climates were ultimately mixed together in some areas, but they were mostly planted in clumps that augmented Olmsted's effect of densely planted areas leading to open vistas. 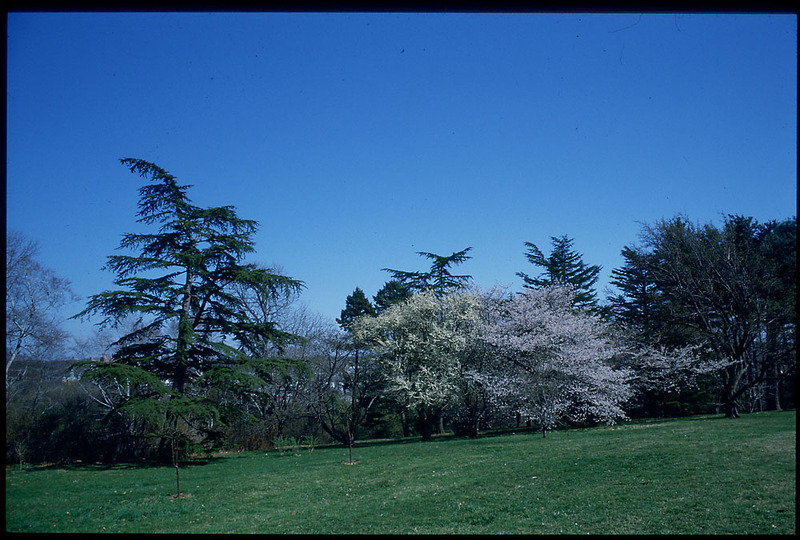 After being open for more than 140 years, Arnold Arboretum has now accumulated more than 15,000 plants from across the globe and an herbarium, which is a collection of dried plant specimens, that includes genetic data and flowering/fruiting information for more than 1,300,000 species. These impressive collections, in combination with its university association, has resulted in a facility that is largely focused on research and education. The horticultural library currently has well over 100,000 books that cover not only botany and horticulture, but also landscape architecture and the way in which it is designed, managed, and preserved. Arnold Arboretum also offers free specialized tours that provide participants with insight into various aspects of botany and horticulture, including greenhouses, invasive plants, and sustainable design. Whether or not you are a landscape architecture major, try to find an afternoon to head down to Arnold Arboretum. All design fields are collaborative, and the more we know about each discipline the better we will be at our own concentration. 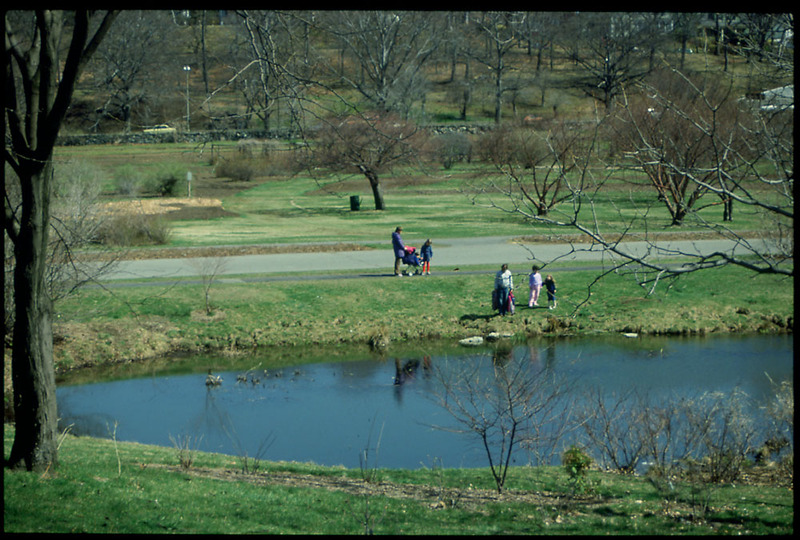 The library and the free specialized tours at the arboretum are great resources to learn more about the different facets of landscape architecture. It is also a great place to relax or exercise by exploring the pathways and plantings. It is easily accessible by car or bike, and it is close to both Green Street and Forest Hills on the Orange Line. 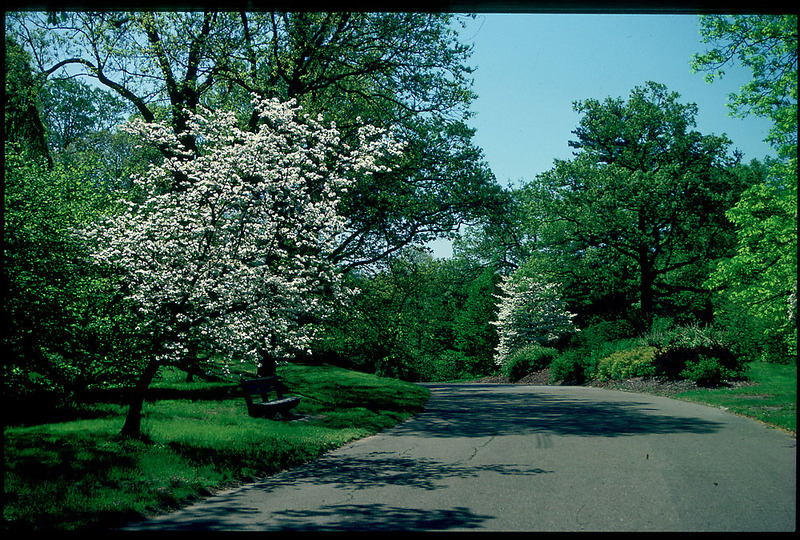 When you have a chance, head down to Arnold Arboretum in Jamaica Plain and check it out!